Kenya's Deputy President William Ruto (PhD) says it's okay to borrow money from the West and China. He rubbished claims that the loans make African countries new colonies. As long as the money is used well, then there is need to have more loans to boost infrastructure. During a lecture at UK’s Warwick University on Saturday, Dr Ruto's speech said the solution of Africa's problems is the idea of Pan-Africanism, where loyalty is neither East or West but to its own people. The DP has been on a trail of public lectures as required to maintain 'Dr' status that many had questioned. While our lands are politically emancipated, our minds, imaginations and economies are yet to be completely decolonised. Yet even after her political independence, Africa has been the stomping ground for economic and ideological control between the West and East. The emergence of China as an alternative to the false utopia advanced by unipolarity, has been an attractive allurement to many African nations, which view its role of supporting Africa’s infrastructural development as a welcome departure from the West’s approach of aid, paternalism and dependency. Kenya owes the Chinese about Sh580 billion and are still accepting more funds to finance infrastructure projects. Though for a good cause, most of these funds are lost through corruption and poor accounting. 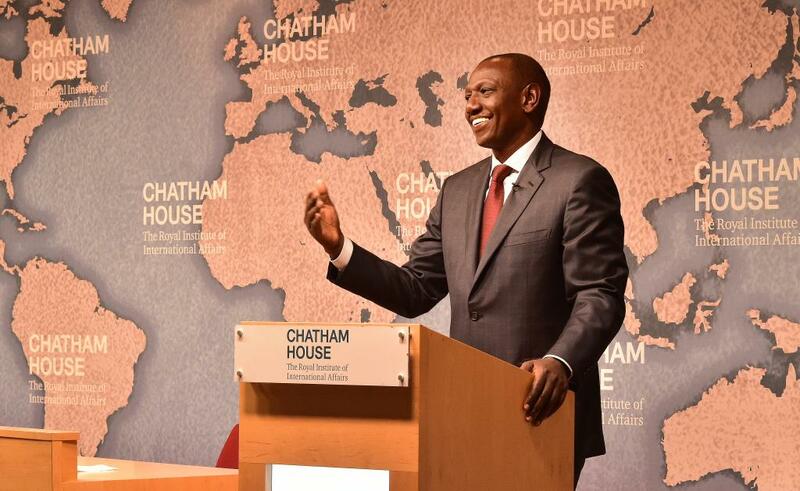 Dr Ruto argued that it does not make sense to refuse help from China while citing the bad history with the West.